This complete set of galvanized steel poles and stakes is designed to go with the 40 by 120 feet High Peak Tension Tent made by Mystique. The poles have triple-reinforced stress points to make them safer and more stable. The 42-inch-long stakes give dependable strength as well. Stakes and spikes come in a self-containing carrying bag for convenience and storage in between uses. 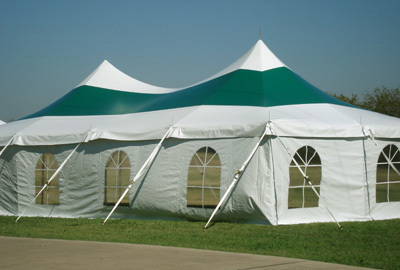 Easy to use, store and locate when the occasion calls for the, this set of tent props will give years of service.